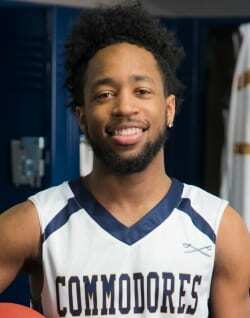 February 9, 2019 – – The Lorain County Community College Men’s Basketball team fell short of Clark State Community College at home Saturday by a final score of 85-78. Strong efforts and double digit first halves by starters Thomas Hronis (North Ridgeville) and Jovon Jones (Elyria/F.B.C.S.) kept the Commodores rolling early. Hronis had 12 points, 2 assists, and 2 rebounds at the end of 20 minutes. Jones totaled 11 points, 3 rebounds, and 2 blocks in the first half. Aggressive play by Andrew Nelson (Strongsville) led him to a monstrous 5 first half steals, along with 8 points and 2 rebounds. LCCC led 41-40 at the half. LCCC fell behind in the 2nd half but made an honorable effort at a late comeback. A key 3-point field goal in the final minute of the game by Jacob Marsh (Elyria) gave the Commodores a glimmer of hope, but it was simply too late for LCCC to salvage the win. Hronis finished with a team-high 24 points, while adding 5 rebounds, 3 assists, 1 block, and 1 steal. Jones lead the team in rebounds with 9 and Nelson lead the team with 6 steals, his most in a game this season. LCCC falls to 13-11 overall and 4-7 in conference games. Clark State is now 12-12 overall and 4-8 in conference games. The Commodores are on the road to face Sinclair Community College at 3 p.m., Sunday February 10, 2019.